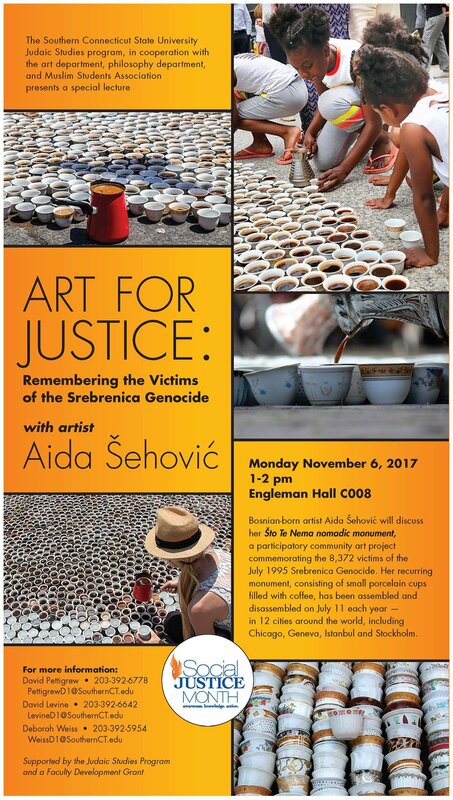 In conjunction with the Proof of Existence art exhibition in the FAC Art Gallery and the International Year of Bosnia and Herzegovina, join the WKU Art Department and Office of International Programs for a short film screening and panel discussion featuring Artist Aida Šehović & Filmmaker Rialda Zukić. Reception to follow in the gallery. ŠTO TE NEMA - BOSTON film screens at the 15th annual Bosnian-Herzegovinian Film Festival in New York City on April 14, 2018. Filmed and directed by the talented filmmaker Rialda Zukić, accompanied by original score written and performed by Chris Parrello. Aida Šehović (center) with Dr. Marc Landry, Ann Koss Edwards, Dr. Ana Croegaert, and curator Lauren Ross (left to right) at the University of New Orleans on February 23, 2018. 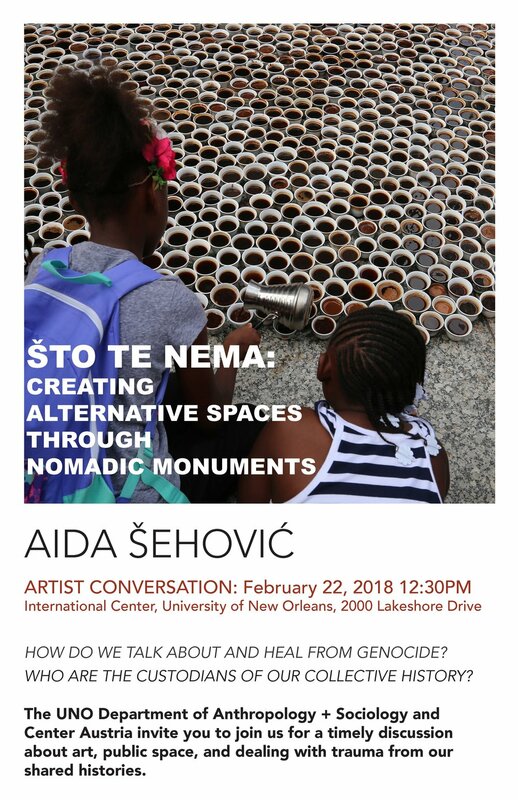 Aida Šehović spoke with a class of first year students at The New School about art, memory, public monuments and working together with Bosnian diaspora communities on ŠTO TE NEMA nomadic monument to the Srebrenica genocide. 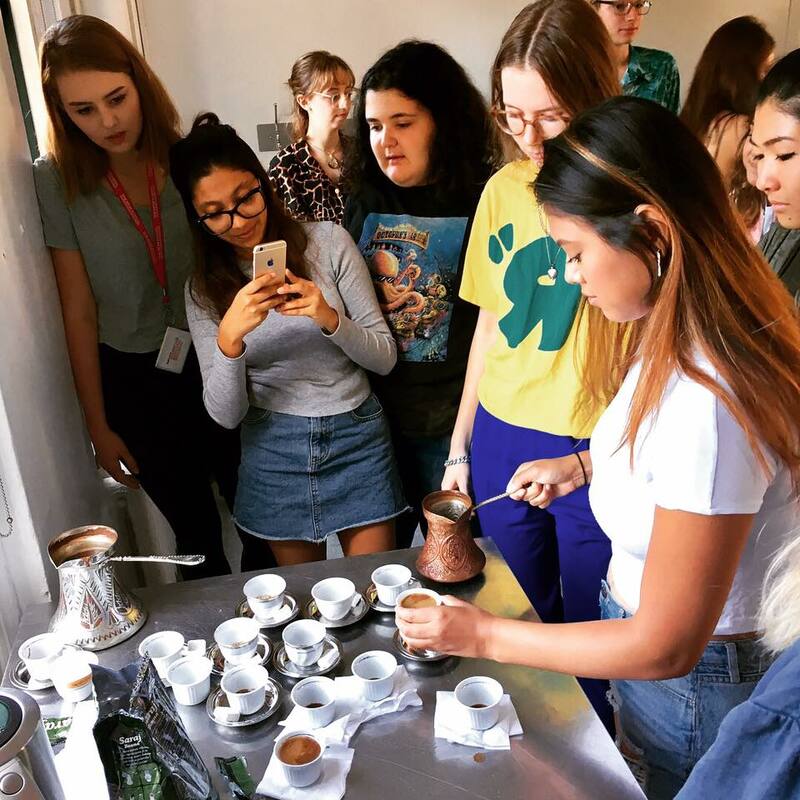 To begin their conversation, they first shared some Bosnian coffee.